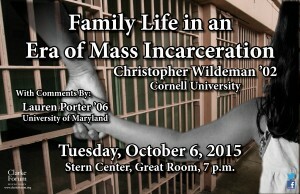 This lecture will consider the implications of mass incarceration for American families, focusing especially on the consequences of men’s incarceration for their parents, partner, and progeny. 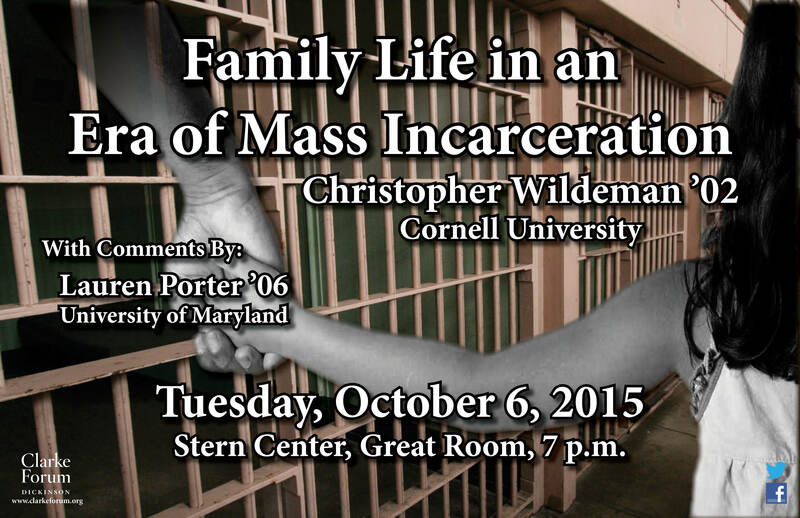 This program is sponsored by the Clarke Forum for Contemporary Issues and is part of the Clarke Forum’s semester theme, Inequality and Mass Incarceration in the United States. 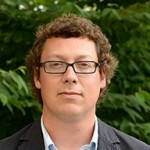 Christopher Wildeman is an associate professor of policy analysis and management at Cornell University. He is also currently a senior researcher at the Rockwool Foundation Research Unit in Copenhagen, Denmark (since 2015) and a visiting fellow at the Bureau of Justice Statistics in Washington, D.C. (since 2013). 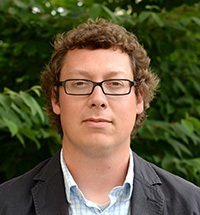 Prior to joining Cornell’s faculty, he was an associate professor of sociology at Yale University (from 2010-2014) and a Robert Wood Johnson Foundation Health & Society Scholar at the University of Michigan (from 2008-2010). He received his Ph.D. in sociology and demography from Princeton University in 2008 and his B.A. in philosophy, sociology, and Spanish from Dickinson College in 2002. His interests revolve around the consequences of mass imprisonment for inequality, with emphasis on families, health, and children. He is also interested in child welfare, especially as relates to child maltreatment and the foster care system. He is the 2008 recipient of the Dorothy S. Thomas Award from the Population of America and the 2013 recipient of the Ruth Shonle Cavan Young Scholar Award from the American Society of Criminology.